Who needs a 1099-DIV 2016 form? This form is used to record the paid dividends, foreign tax on dividends, $600 or more as part of a liquidation and other distributions on stock of $10 and more. This tax form is completed by the person or financial institution which paid the dividend and it’s forwarded to the person who received it. 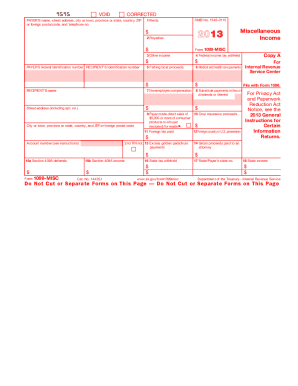 What is the purpose of the 1099-DIV 2016 form? The main purpose of 1099 Dividends and Distribution form is to file a dividends income. The form must be filed for each person who received the dividends from a taxpayer. In case the individual didn’t file the tax return, he will be subject to penalty or other sanction. What other forms must accompany the 1099-DIV 2016 form? 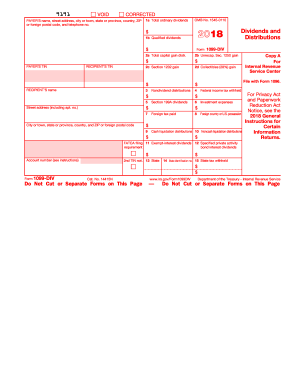 This form must be filed with 1096 IRS form. 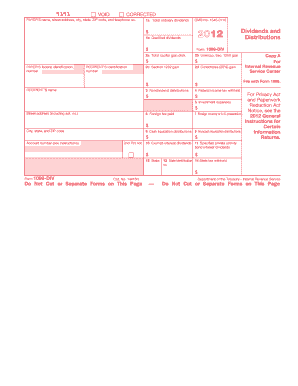 When is the 1099-DIV 2016 form due? The paper version of this form should be filed with the IRS by the 28th of February, 2017. If you choose the electronic filing, the due date is the 31st of March, 2017. The recipients have to get their copies by the 1st of February, 2017. What information should be provided in the 1099-DIV 2016? The filer has to indicate the payer’s name, address, federal identification number, recipient’s identification number, recipient’s address, account number. The information about the income and withheld taxes also should be provided: total ordinary dividends, qualified dividends, total capital gain, nondividend distribution, foreign tax paid, cash liquidation distribution, exempt-interest dividends, federal income tax withheld, investment expenses, etc. Where do I send the 1099-DIV 2016 form after its completion? The completed form is forwarded to the recipient (the person who received dividends) and filed with the IRS and with State Tax Department. Qualifications for using CalFile for the 2013 tax year. ... CalFile Qualifications for tax year 2013 ... Interest and dividends reported on Form 1099-INT or 1099-DIV.